One of my favorite parts of planning a bridal shower when I’ve been a bridesmaid is picking out a theme for the bride’s special day. Whether you get inspiration from the bride-to-be’s favorite things or from the wedding itself, picking the theme really kicks off the bridal shower planning fun! My second favorite part about planning is choosing the corresponding invite to go with the theme. One might say I am somewhat stationery obsessed, so browsing for invites on Minted is my idea of fun ;). If you haven’t used Minted before, the paper quality is fantastic, they offer so many unique designs for invites and they do they addressing for you. Pretty much a bridesmaid lifesaver! 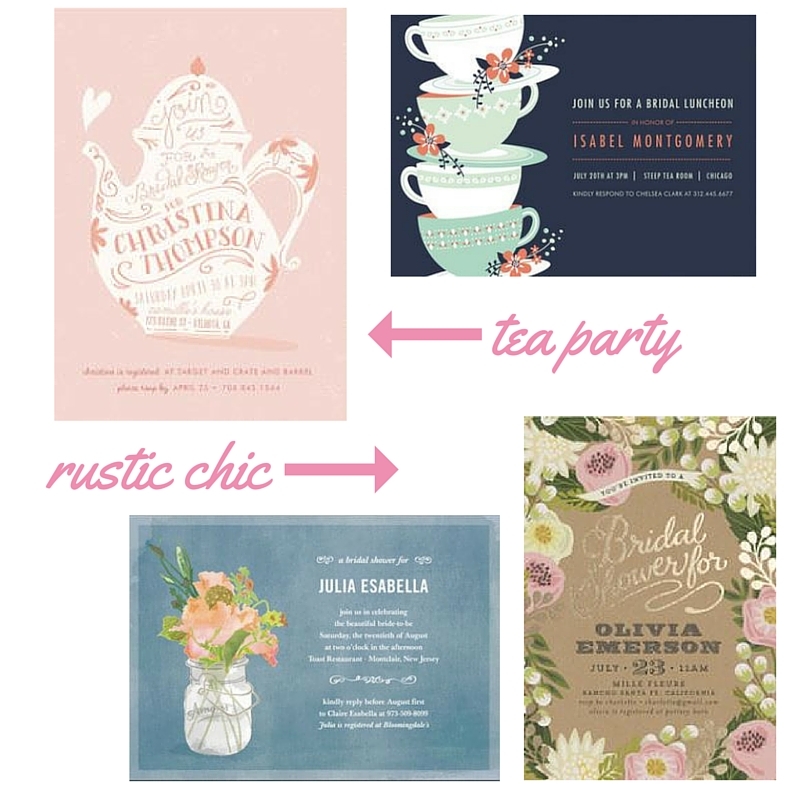 Minted offers some of the prettiest invites around, so I’m rounding up some of my favorites from their site today to bring you a little bridal shower invitation inspiration. These are so cute! Bookmarking this for inspo. 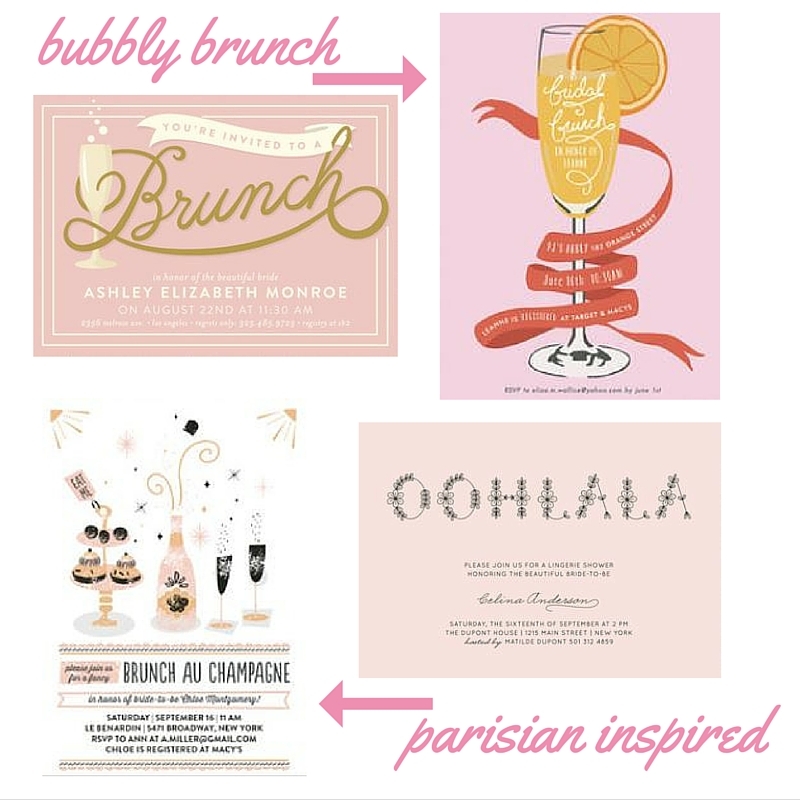 My favorite is Brunch au Champagne! Love the little French themes. I know- isn’t a Parisian theme so cute? We did that for my beastie’s bridal shower and it was amazingly adorable! I love the parisian inspired ones!! seriously so cute and elegant! love it girl! The best! Thanks for stopping by, lady! OMG I have to plan a bridal shower soon, and these are PERFECT. Just my vibe. Thank you so much for sharing, mamacita! Yay! So happy I could help inspire you! Hope to see more about the party planning on your blog 🙂 xoxo! Oh my gosh, Janna.. we are soul sisters I think! 2 AM browsing for invitations I don’t need is definitely something that has happened to me before… oops! How fun is this post?! Love it! Love these ideas they are so cute!! Love it! I love Minted – they have the best art prints and frames ! Who doesn’t love a good rustic chic party? 🙂 I’m turning 30 this year too- when is your birthday Donna?